Has your iPhone Or iPad stopped charging? Technology is great when it works. However, now and then it likes to throw a curve ball to remind us how much we rely on it. Take smartphones as an example, specifically the iPhone (the same applies to iPads). You may have experienced this situation: your iPhone won’t charge, or charging can be a bit hit and miss. Your first reaction is probably to head off to town and buy a ridiculously expensive replacement charging lead (aka a Lightning connector). Or, you may decide to get your handset repaired. Before you go down either of those routes, you need to know that there’s a good chance the connectors have become clogged due to small areas of corrosion. So small you can barely see them. Using a soft tipped brush or even a pencil eraser to clean the contacts. And that’s it. It works and brings device charging up to full throttle. However, don’t use an acidic based fluid to clean the connector, such as lemon juice or vinegar; as this could increase corrosion and drip into the device creating a bit of mess on those finely engineered, expensive electronics. If you have an iPhone loaded with music that isn’t playing through your speaker dock, or only intermittently, clean the speaker and device contacts using the above method. If you take a look at our Internet Security and Anti Virus page, you will discover that we are great advocates of BullGuard. We’re delighted to tell you that BullGuard has once again been awarded top honours in an AV-Test of anti-virus software for home users. This is an independent test, which assesses security software from 11 different vendors (on computers running Windows 10). BullGuard wiped the board, scoring the highest in every category. We’ll let BullGuard tell you more. BullGuard Internet Security gained top marks in the protection category which tested for how well it stopped viruses. Including zero-day threats which often cause the most damage. One example is last year’s WannaCry ransomware, which rampaged around the world in a matter of hours taking out the systems of many high profile organisations. BullGuard’s multi-layered detection engine is specifically designed to stop all threats from getting through. Including all types of ransomware and crypto-mining malware. BullGuard Internet Security also gained top marks for performance. This category assesses how well antivirus software operates on a computer. Does it slow a computer down; does it interrupt other processes on a computer? No; this is why BullGuard ranked highest. BullGuard Internet Security boosts performance for gamers. Its Game Booster feature ensures players don’t have to turn off their protection to enjoy blisteringly fast gaming. Usability was the third and final category that AV-Test assessed across all the antivirus software suites. Again, BullGuard achieved full marks. This wasn’t surprising given that one of BullGuard’s guiding design principles is to ensure the software is uncompromisingly easy-to-use. Too often security software can appear complex for home users. As a dedicated supplier of security software for home users, BullGuard takes the position that the user must be at the centre. As a result, the user control panel is simple-to-use, well-designed and aesthetically pleasing, as AV-Test will testify too. Everyone at MPM IT wants to extend our congratulations to BullGuard and thank them for providing excellent protection. On 26th December 2018, the world lost Dr Larry Roberts aged 81. The American scientist helped design and build the forerunner of the internet along with Bob Kahn, Vint Cerf, and Len Kleinrock. The son of two chemists, Dr Roberts reportedly chose electronics as a field of study because it was more forward-looking. “I wanted something new, not old like chemistry,” he told Katie Hafner in an interview with the New York Times. Two key developments credited to Dr Roberts include the layout of the original network and the way it shuffled data between its nodes. Dr Roberts decided on a distributed layout for the elements of the network, rather than a centralised system, and decreed that data should be split into small chunks or packets as it travelled to its destination. This packet-switching system, as it came to be known, drew on work done in the UK by Donald Davies at the National Physical Laboratory. The first four computers were connected to Arpanet in 1969 and it grew rapidly as universities and other research institutions joined it. Dr Roberts was also keen for Arpanet to be put to practical use and he encouraged early users to adopt email to improve communication and collaboration. Arpanet persisted until 1983 when it was folded into the larger internet and became one part of that network. After leaving Arpa, Dr Roberts had a distinguished career founding and then running a series of networking start-ups. A true pioneer, Dr Roberts will be greatly missed. 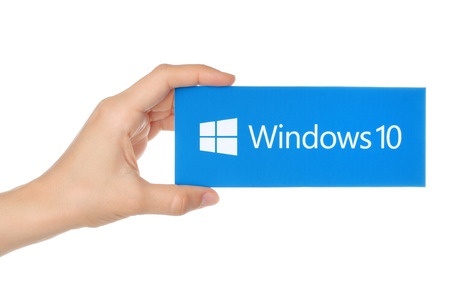 The Windows 10 prompt to upgrade was changed following several complaints. It had been claimed that Mircosoft was forcing the upgrade in users using a ‘nasty trick’. The corporation had given the update ‘recommended’ status, normally associated with critical security updates. When prompted to update, if the user clicked the red ‘X’, the upgrade wouldn’t start immediately, but it would be automatically scheduled for a later time. However, Microsoft has now conceded and has changed the process admitting it was confusing. Microsoft continues to promote Windows 10 as a better computing experience with added security features over previous versions and recommends that all users upgrade. However, some users are still resisting citing worries about the strain the software may put on their hardware and that Windows 10 tracks its users too closely. You’ve been waiting all year for your holiday. The last thing on your mind is the safety of your tech, but if you don’t give it some thought you could end up with a nasty surprise on your return in the shape of unwelcome bills or lost data. To help you out, below are some simple and effective tips to keep you safe when you’re connecting to public Wi-Fi networks. Free Wi-Fi – or is it? Most travel hubs, like airports, train stations and hotels, offer free public Wi-Fi. It’s a great thing and can make travelling that little bit easier, but you do need to exercise some caution in how you use it. Before you hook up to a free Wi-Fi network in a public place, check the name of the network with staff or on any signs. While most public Wi-Fi networks are safe it doesn’t take much for a hacker to set up something known as a man-in-the-middle attack. This essentially intercepts your data by posing as a legitimate network. Let’s say you’re staying at the Hotel Grand. It may have a free Wi-Fi network called Hotel Grand Wi-Fi. A hacker could easily set up a network called FREE Grand Wi-Fi, try and route you onto their network and basically intercept all of your data. So when you’re looking for Wi-Fi connection, if ‘free’ appears next to a network name you do need to be cautious. If you’re not absolutely certain about the integrity of a network don’t use it. Another simple precaution is to ensure your operating system is up-to-date. This will at least patch any flaws that have been discovered in it. And if any apps require updates, make sure you apply them too before you head off on your travels. You need to be careful when connecting to public or hotel Wi-Fi networks. There have been ‘download tricks’, which are incidents where your device prompts you to update a software package. When accepted, malware is installed. If you get such a request, ignore it. Also consider getting some antivirus software on your android mobile device, such as BullGuard Mobile Security, which is designed for the Android platform. It’s also wise to get into the habit of checking there’s always a lock symbol in the browser bar when you’re logging onto websites. This symbol tells you that communications between your device and the website are encrypted with HTTPS and as such are safe. It’s a shame all of this is necessary, but that’s the way of the world we live in. 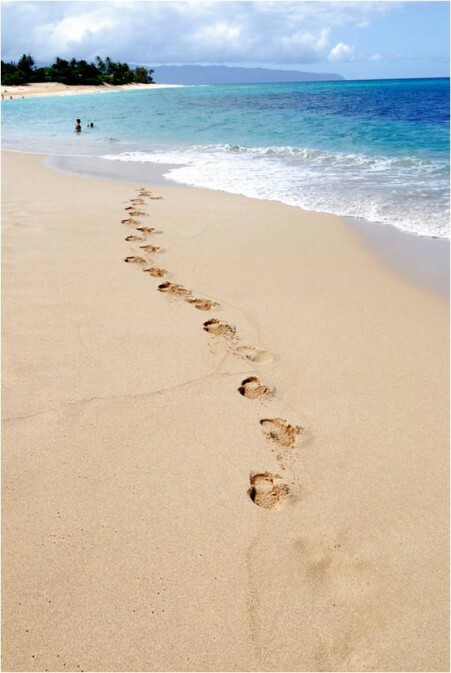 By following these simple tips you will be able to holiday in the knowledge that your tech and data are safe and sound. Did You Miss National Unplugging Day? Yes, there really is a National Unplugging Day. This year’s was on 26th June. If you missed out, don’t worry, you’ll get another chance next year. The point behind it is to offer you a chance to do a digital detox. We’re all so tied to our smartphones, iPads and computers these days it’s hard to imagine what life used to be like (for those of us old enough to remember the non-connected world). So to help you prepare for it, here are a few tips on how you become completely unplugged for the day – if you’re up to the challenge. A simple and obvious step, but one that’s really difficult to do. If switching it off is too much for you, how about putting it on silent and turning off notifications so your just using it as a phone. If you can be really brave and go incommunicado for the day, switch it off and shut it away in a draw. This is easier said than done, but how about a weekend away where there is no WiFi. If a trip away isn’t on the cards, put all your tech in one room, shut the door and walk away from it. Then go and so something outside – go for a run, bike ride or visiting a lovely ruin somewhere; anything that keeps you away from your virtual online life. If shutting yourself off from the world is just a bit too scary for you, buy a newspaper so you can see what’s going on. Going on a day trip? Then use a good old-fashioned map book rather than your phone’s satnav. Hands up if you’re guilty of sending emails at night or updating your Facebook status. Stop it. No one wants to be contacted or poked at that time of night. Switch your phone to flight mode, or better still, leave it downstairs and buy an alarm clock. One rather worrying statistic is that, according to a US study from a couple of years ago, 75 per cent of people use their devices in the lavatory. Don’t not only is it wrong, it’s unhygienic. Forget catching up on box sets, get outside and do something different, or bake a cask, or do that DIY you’ve been putting off, how about write someone a proper old-fashioned letter? 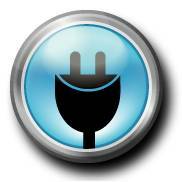 Author itsupportbloggerPosted on September 14, 2016 September 13, 2016 Categories UncategorizedLeave a comment on Did You Miss National Unplugging Day? Did you know that 31st March was World Backup Day? Granted, this news is reaching you rather late, but in our minds World Backup Day should be every day. In fact it should be second nature. The problem is most of us know it should be done, but never seem to have the time to make sure the right measures are in place. Today, everything we do is dependent on data. 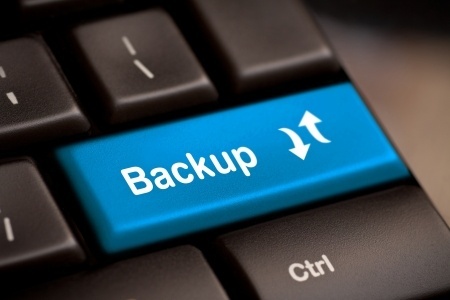 Hardware failure, user error and malware can cause a real headache, which is why good backups (both business and home) are essential. In honour of World Backup Day, Spiceworks and Unitrends produced this infographic aimed at raising awareness of the increasing role of data in our lives and the importance of regular backups. If you’re unsure of what you should be doing, we’re always happy to advise you on the best method for your particular circumstances. Just call or drop us an email here at MPM IT. 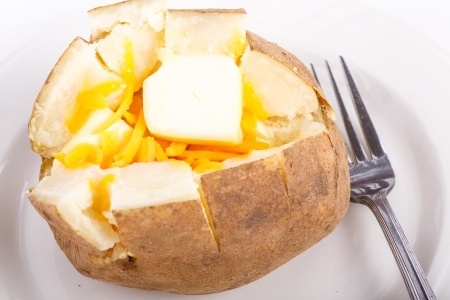 Is Your Internet Explorer a Hot Potato? Estimates suggest that Internet Explorer accounts for 57% of the browser market. Great for Microsoft, but there lies a problem. According to a recent article on the BBC website, Computerworld claims that only 55% of IE users are running the latest version. You might not think that’s too much of an issue, well you’d be wrong because Microsoft has ended technical support and security updates for versions 8,9 and 10. “Beginning January 12, 2016, only the most current version of Internet Explorer available for a supported operating system will receive technical support and security updates,” Microsoft announced on its website. Bad news for you, great news for hackers. With some 340 million people still relying on older versions of IE, experts have warned about a security “hot potato”. “It is safe to assume that cybercriminals have been stockpiling IE vulnerability information ahead of the support cut-off,” said Craig Young, a researcher at security firm Tripwire. The best advice we can give if you currently run IE is to update it to the most current version, or switch to Firefox or Chrome. Author itsupportbloggerPosted on March 16, 2016 March 15, 2016 Categories UncategorizedLeave a comment on Is Your Internet Explorer a Hot Potato? Yay, your new PC has arrived and you can’t wait to get it out of the box and switch it on. You want to flick the switch and dive in, don’t you? Before you get carried away there are 7 vital steps you must carry out before you can safely start playing. Yes, this is pretty boring, but also essential. You don’t want to be poking around online unless you copy of Windows is fully patched and up to date. Depending on how long your machine was in the shop, this can take a few minutes, or a few hours. The main thing is that you are patient and get it done before going any further. Connect to the internet, open the Start menu (Windows 10) and head to Settings > Update and security > Check for updates. Then wait until it’s finished. Next up is to choose your favourite browser. You’ll be familiar with the main contenders, so we won’t go into detail about them, but whichever floats your boat, set that as your browser of choice. Now’s the time to decide whether you’re going to opt for a free anti virus or pay out for something like Nortons or McAfee. 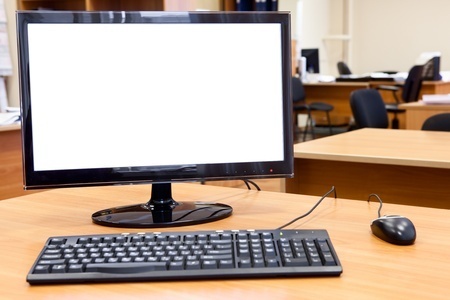 They all have the good and bad points – again this will come down to personal preference, but whichever you chose get it set up ASAP to make sure your new machine is protected. Boxed PCs will come with a shed load of bloatware clogging up your hard drive. Use PC Decrapifier to scan your PC for known bloatware. It will then allow you get shot of it all in one hit. Now you’ve made room, it’s time to instal the stuff you want. Now your PC is shaping up just the way you want it, it’s time to create a clone or image of your primary hard drive and save it to another hard drive. That means if your primary drive gives up the ghost, you have a back up. The last thing on our list is updating your drivers. If your PC is straight from the box you should be able to ignore this step. If, however, you’ve built it yourself, it would be wise to check you have the most up to date versions. It’s always exciting getting a new PC, but taking your time and following these simple steps will help make sure you get many years trouble-free use. Business Continuity Plans (BCP) provide procedures for how employers and employees will stay in touch and keep doing their jobs in the event of a disaster or emergency, such as a fire at the office. Unfortunately, many companies never take the time to develop such a plan, typically because they do not feel it is necessary. However, creating a comprehensive BCP will allow you to enhance your company’s ability to continue business as usual during or after significant disruptions to business operations. 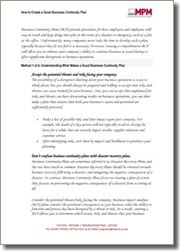 We have produced a guide to creating a business continuity plan. To download the pdf click here.